﻿Southern Naturals Hand & Body Cream's extra moisturizing formula includes beeswax, natural and organic vegetable oils and essential oils. High concentration of all natural ingredients and Vitamin E soothes sensitive skin. Rich botanical ingredients keeps skin supple and young looking. 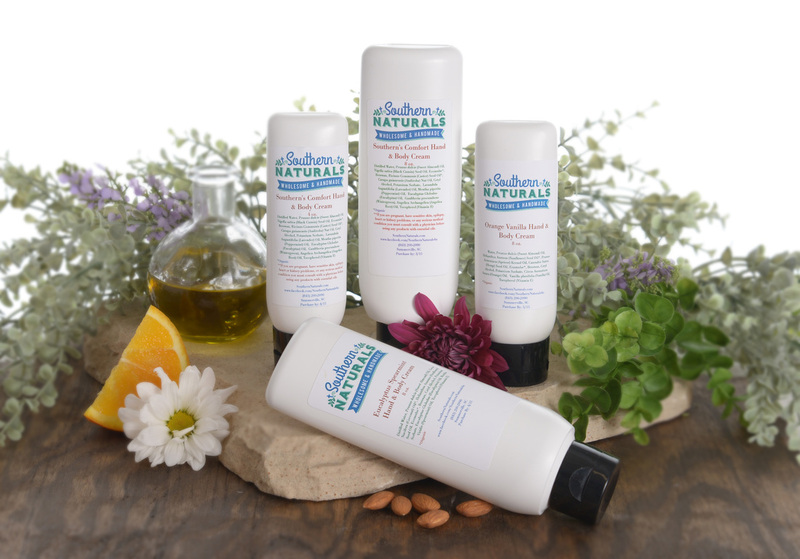 Southern Naturals Moisturizing Hand & Body Cream was specially formulated for a multitude of skin types. Our luxurious cream is made with 100% natural vegetable oils such as sweet almond oil, coconut oil, olive oil, castor oil and sunflower oil and will forever be paraben free. We use only natural preservatives in all our products including our body cream. Even our scented lotions are so gentle, many people who could never use a scented lotion before are able to use them. Give Southern Naturals Hand & Body Cream a try today, you won't be sorry! II Corinthians 9:8 And God is able to bless you abundantly, so that in all things at all times, having all that you need, you will abound in every good work.